The way a business operates— has drastically changed over the last decade. Businesses are now expanding on a global scale, increasing the need for a smooth communication channel. At times it becomes difficult for businesses to communicate with the customers and coordinate with the staff residing in different parts of the world. Geographical time difference and improper communication channel are few of the many essential factors which affect the smooth running of your business. However, cloud telephony has already been stretching its solution-oriented approach in all the aspects of the business. A virtual number is one such cloud telephony solution which allows business to connect with their customers and staff irrespective of their physical location. A virtual phone number is a telephone number used to route incoming customer calls. 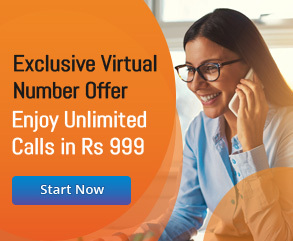 Virtual numbers enable long distance communication without costing long distance charges, as now traditional wired system gets replaced by internet telephony system. It largely helps an organisation to establish a local brand image in the region by obtaining a virtual number which echoes the local presence in the state/city. Virtual phone number routes the call to the assigned number which can be your personal or office number. This allows your company to remain available for customer queries at any time from anywhere, i.e., if due to any unavoidable reasons you miss out on office calls, then calls automatically get redirected to the mobile. 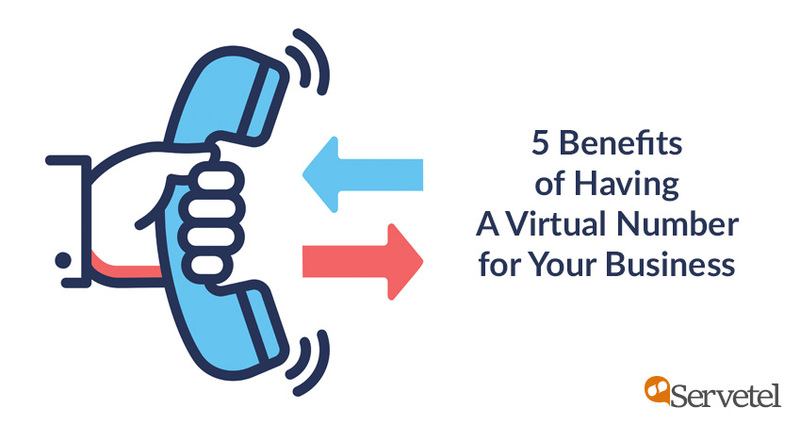 Let’s look at how virtual number benefits your business. A Virtual Phone Number saves a lot of business money, as the elimination of hardware from infrastructure gives a large scope in saving the business expenditure. The traditional system demands a huge investment in infrastructure setup, maintenance activities, and workforce management. However, in the case of the virtual number, it is all handled by the cloud telephony service provider. 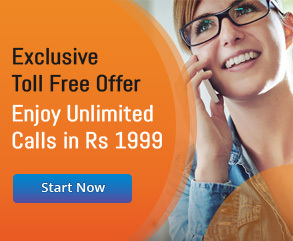 In addition to saving expensive hardware cost, it also reduces the calling rates. Here, the internet is used as a medium to facilitate the calling process, and so the cost of wire transmissions gets eliminated. This reduction in cost makes opting for a virtual number more seamless and affordable to business. Choosing a virtual number which resonates with your customer’s geography helps you to establish and widen your local brand presence. Opt for different local numbers for a different set of the audience; this helps you to gain trust by hitting the common spot, i.e., same city/state. Receiving a call from the same city or a native place is very likely to get answered in comparison to other city or states. You no longer remain to be glued on your seat with the fear of missing out the customer calls, i.e., now you can stay 24*7 available to the customers with the flexibility of attending calls on the go over your mobile phone. Additionally, if needed, you can also transfer your call to the other agents and communicate without being physically present in the office. This virtual mesh connects the peers through a phone number and eases up the communication process. Auto-attendant replaces the need for a full-time receptionist. Unlike a human receptionist, it guarantees to answer all the incoming calls. Auto attendant receives the call, greets the caller, and redirects the call to the desired department. This whole process requires no human intervention until the customer selects the option explicitly to connect with a live agent. One significant flexibility provided in the auto-receptionist feature is customisation. You can personalise the voice as well as the message concerning your target audience such as recording the auto-receptionist voice in the local language or changing the voice suiting the target audience habitual accent. In future, if you plan to change the service provider or scale up your business to a new location without changing your current phone number, then contact your current service provider for the same and ask them to release your number by paying the minimum transfer amount. This ease and flexibility in the transition process give every business a sense of security without involving much effort in the process. With such luring benefits of the virtual number at a low cost, making the switch from traditional to cloud telephony system seems just the right choice. These solutions have already made their mark in the business world by amplifying the quality of customer experience and business growth. It’s high time to adapt to the changing world of business communication with cloud telephony solutions.